Nicolas Tollet is Counsel within Hughes Hubbard. He joined the firm from Technip, a CAC 40 oil and gas service firm, where he served as Vice President for Compliance and was based between Paris and Rio de Janeiro. On the investigative side, he has worked on some of the largest resolutions by the U.S. DOJ and the SEC in both the pre- and post-settlement contexts, including inter alia the Alcatel, TSKJ and Lava Jato (Carwash) cases. He has also been assisting a multinational company in the frame of a joint investigation by the British SFO and the French PNF. Nicolas is experienced with monitorships, and worked on the very first monitorship imposed on a French company by the DOJ and the SEC while he was at Technip. He is currently assisting a government anti-corruption agency through their monitorship of a company in the frame of a settlement with the prosecutor’s office following allegations of corruption. On the preventive side, Nicolas has in-depth experience and knowledge of compliance programs and the internal functioning of multinational companies after having worked in-house for five years, both at headquarters and operational levels. 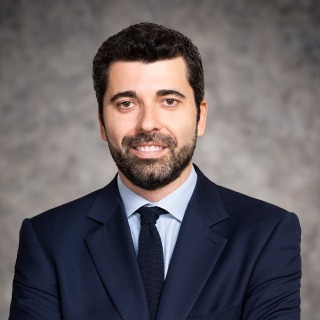 He is assisting an important number of CAC 40 and SBF 120 companies, private equity firms, and more, in diverse industries for the development and implementation of their compliance programs around the world, conducting compliance audits in various jurisdictions, and M&A due diligence. He is also assisting a number of companies in the frame of the controls conducted by the French Anticorruption Agency (AFA), including a few of the first six companies of the first wave of controls. Nicolas received the Best Compliance Department Award in 2016 while at Technip and was the only French lawyer selected among the 38 in-house investigations and compliance specialists worldwide for Global Investigation Review (GIR) in 2017. He is ranked Tier 1 by Legal 500 EMEA. Nicolas is admitted to practice in New York, Paris and the U.S. Supreme Court and he has been teaching anti-corruption compliance at the University of California Berkeley. Assisting a governmental anticorruption agency through their monitorship of a company in the frame of a settlement with the prosecutor’s office following allegations of corruption. Assisting a CAC 40 company with its compliance matters. During the engagement, he assisted the company in the frame of an anti-corruption audit launched by the French Anticorruption Agency (AFA) and with the improvement and implementation of its compliance program. Assisting a group in the frame of the first ever anti-corruption audit launched by the French Anticorruption Agency (AFA). During the engagement, he assisted the company in (i) responding to the authorities, (ii) setting up its compliance organization and program around the world, (iii) conducting due diligence on certain of its business partners. Assisting one of the largest private equity firms in the world in assessing and redesigning its anti-corruption compliance program. Assisting a world’s top 5 luxury company (CAC 40) in upgrading its compliance program. During the engagement, he assisted the company in (i) improving its anti-corruption program, (ii) improving its sanctions and embargoes program, (iii) setting up its anti-money laundering program, (iv) complying with the new French law on the duty of care relating to Human Rights. His work notably included the review of privacy laws, labor laws and anti-money laundering laws in nearly 70 countries with respect notably to whistleblowing alerts, cross-border transfer of data, and internal investigations. Assisting a group in the aerospace industry (SBF 120) in reviewing its operations and upgrading its compliance program. During the engagement, he assisted the company in (i) conducting risk assessment of its global operations, (ii) adjusting its anti-corruption policies and procedures and (iii) conducting post-acquisition risk assessments in certain jurisdictions. Assisting a group in the consumer goods industry (Forbes Global 15) in reviewing its operations and upgrading its compliance program. During the engagement, he assisted the company in (i) conducting risk assessment of its operations in select jurisdictions, (ii) adjusting its anti-corruption policies and procedures and (iii) training its personnel. Assisting a group in the renewable energy industry in reviewing its operations and creating its compliance program. During the engagement, he assisted the company in (i) conducting risk assessment of its global operations and (ii) creating its compliance program with respect to anti-corruption, sanctions and embargoes. Assisting a group in the defense equipment industry in reviewing its operations and creating its compliance program. During the engagement, he assisted the company in (i) conducting risk assessment of its global operations and (ii) creating its compliance program with respect to anti-corruption, sanctions and embargoes. Assisting another world’s top 5 luxury company (CAC 40) in designing its anti-money laundering program and its sanctions and embargoes program worldwide. Assisting one of France’s largest private equity firms in training their portfolio companies, training their investment teams and in providing compliance advice. Assisting a Fortune 100 company in the beverage industry in providing compliance advice.